Ikimonogakari has announced that it is ending its group activities and going on hiatus. On January 5, the trio made its "grazing declaration", comparing themselves to cows who will always be part of the same herd, but go off in their own direction as individuals. 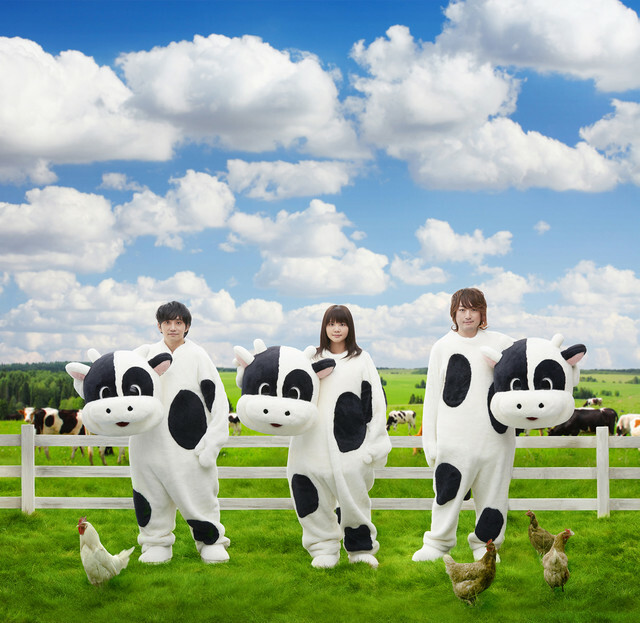 The group dressed up in cow costumes for its final photo shoot together which accompanied the announcement. "First of all, thank you for everything until now. Also, please continue to support us. Ikimonogakari is a place where the three of us can return. Let&apos;s meet again with a smile!," the group said in a statement. The group members&apos; plans for their individual futures were not immediately discussed. The group stated it would share their plans at a later date. Ikimonogakari was formed in 1999 and made its major-label debut in 2006 with the single "SAKURA". Last year, the group celebrated its 10th anniversary. I&apos;m gone miss them a lot, my first favorite Japanese pop band!!! Ganbatte!! They&apos;re just taking a break from their music career.